SavitriBai Phule Garden (Udyan) - A nature park for relaxation - Journey & Life. Jotiba SavitriBai Phule Garden (Udyan) is great initiative by Primpri Chinchwad Municipal Corporation (PCMC), which is a scenic relaxation spot for all the professionals working in Hinjewadi Infotech Park, Pune. Garden is created from the rock land and it has a cheer joy of fresh air and greenery all the time. Some pictures captured while my visit to this place on this weekend. 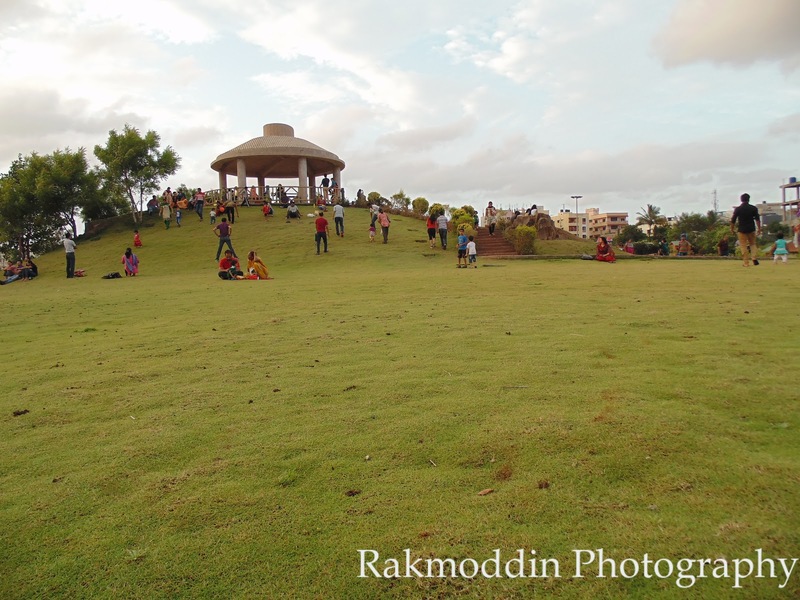 Families and Children's enjoying the greenery at SavitriBai Phule Garden. Bench created in the shape of Hand. Really we had a good time, Thanks to Pimpri Chinchwad Municipal Corporation for such a beautiful initiative which will definitely make Pune a Beautiful and scenic place to live.